If your first thought when you wake up in the morning is that you need some sugar, you might have trouble maintaining stable blood sugar levels. 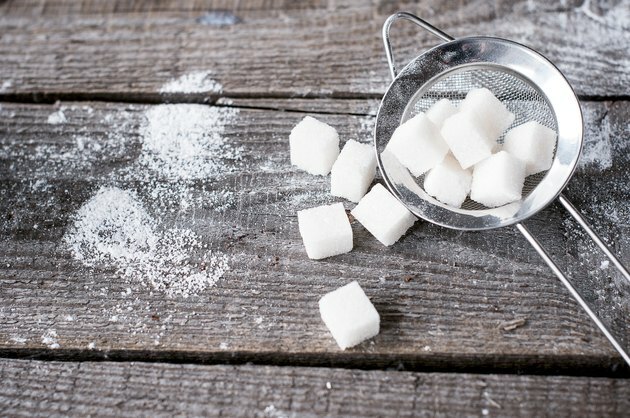 Whether your have diabetes or not, craving sugar could indicate your body is running low on energy and wants you to eat something sweet as soon as possible to get its sugar fix and function better. Stabilizing your blood sugar levels can help you get rid of these sugar cravings so that getting doughnuts and sugary coffees won't be your first priority of the day. If you have diabetes and crave sugar when you wake up, it is important that you check your blood sugar levels to see if they have dropped too low, or below 70 mg/dL, especially if you have other symptoms, such as sweating, dizziness, shakiness, confusion and weakness. Hypoglycemia, or low blood sugar levels, can be the result of waking up later than usual and not eating breakfast at your regular time, drinking alcohol the previous evening, exercising more than usual the previous day or taking more medications than necessary. A hypoglycemic episode requires your immediate attention and should be treated with either 4 oz. of juice or soda; 1 tbsp. of honey, maple syrup or sugar dissolved in water; or dextrose tablets. Consult your doctor if you experience a blood sugar low more than twice a week. Fasting hypoglycemia is another form of low blood sugar, which can occur in people without diabetes. Fasting hypoglycemia is defined as a blood sugar level below 50 mg/dL when waking up in the morning and can be caused by medications, alcohol, hormonal deficiencies, tumors or other critical illnesses. Obtain a blood glucose meter at your drugstore to check your blood sugar levels whenever you experience a sugar craving in the morning to determine whether you might be experiencing fasting hypoglycemia. Consult your doctor if you suspect this is a problem for you. If you experience strong sugar cravings when you wake up in the morning despite having normal blood sugar levels, your desire for something sweet might simply be the result of your dietary habits. If you usually choose a carb-heavy or sugar-rich breakfast, your body might simply be looking forward to its daily sugar fix. A diet high in sugar and quickly digested carbs is associated with more cravings for sweets and other carbs. The only way to manage your symptom of waking up with sugar cravings is to find the cause. Testing your blood sugar levels will help you determine whether you experience a low blood sugar level in the morning, and you should consult your doctor if this is the case. If your blood sugar levels are not the culprit, try following a low-sugar diet based on slowly digested carbs to lessen your dependence on sugar. For example, replace sweets, desserts, sugar, candies, syrups, soft drinks, juices, white potatoes and refined starches with plain yogurt, whole fruits, whole grain sourdough bread, whole grain pasta, steel-cut oatmeal and sweet potatoes. These carbs will help you maintain better energy levels throughout the day and prevent cravings.